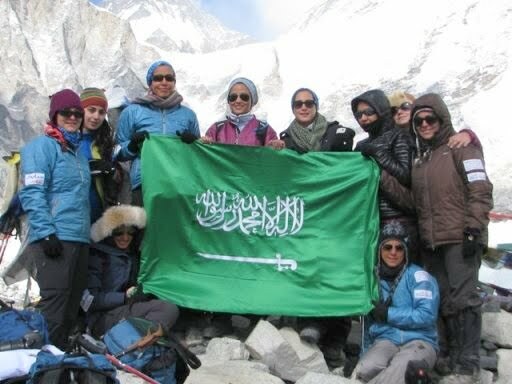 Here are pictures of the team of 11 lionhearted Saudi women who have just conquered Mount Everest. (The photo originals are from their Facebook page). They are shown proudly raising Saudi Arabia’s national flag at Everest Base Camp in Nepal at an altitude of 5,364 meters, or 17,598 feet. The pink climbers Tuesday started making their way back to the village of Pheriche. They will spend the night there and make their way down to the Sherpa capital of Namche Bazaar today, Wednesday. 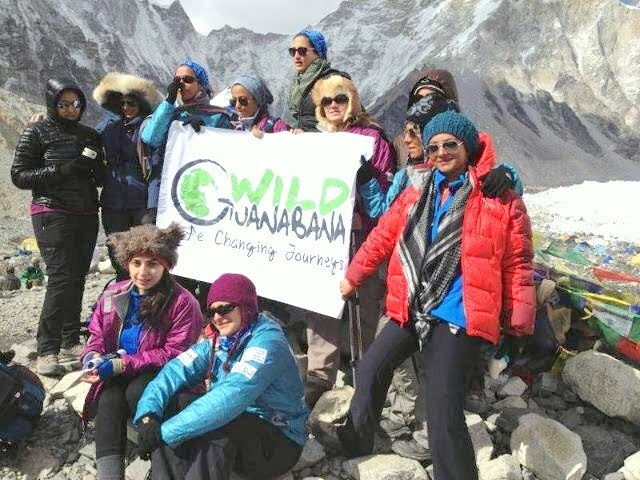 They started their campaign -- dubbed “A Woman’s Journey – Destination Mount Everest” – the night of May 6-7, when they flew out to the Nepalese capital Kathmandu on the first leg of a two-week journey. The expedition is meant to promote awareness of breast cancer, express moral support for women sufferers and underscore the importance of healthier lifestyles and physical fitness. 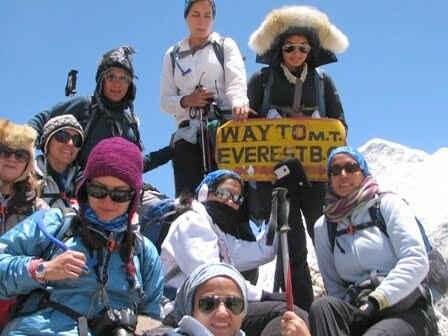 The 11 Saudi heroines who took the breast cancer fight to the earth’s highest mountain – and who I introduced in an earlier post --are HRH Princess Reema Bint Bandar Bin Sultan, Alya Al-Sa'ad, Hatun Madani, Mona Shahab, Noura Bouzo, Lina Al-Maeena, Samaher Mously, Asma Al-Ghalib, Mashael Al-Hegelan, Hasna’a Mokhtar and Raha Moharrak. My heartfelt wishes for a safe journey home. Your triumph is a source of pride for women and men throughout the Arab world.